How Do Hydroponics Work? | Global Garden Friends, Inc.
Home » Press » How Do Hydroponics Work? 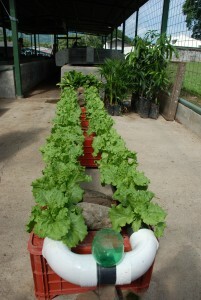 If you are wondering how to hydroponics work the answer is actually quite simple. The process allows plants to be grown in various containers, even vertically if proper stabilization is included, so that you can grow a garden all year round. The system is especially helpful to those who want to grow plants in a limited environment such as an apartment building where you do not necessarily have access to a garden plot or regular sunlight that are essential for traditional gardening methods. Hydroponic gardening revolves around providing specially formulated nutrients to your plants through a carefully devised watering system. This way you do not need soil to house your plants, but can simply allow them to grow in a water bath. In some cases, plants are stabilized by dry materials such as small stones to keep them growing in the proper direction, but this step can easily be skipped if you do not have the proper amount of space to house this kind of system. You can customize your hydroponic growing however it is necessary to meet the spacing limitations you have or to increase the productivity of the plant type you have chosen. For those wondering “what is hydroponics” the basic answer is a method of growing plants without the use of soil, but there are a few key features you will need to consider if you want to create your own system. A hydroponic system can be set up in a number of ways. Typically these systems place plants in a grow tray and use pumps to drip nutrients from a reservoir onto the plants’ root system for absorption. In some cases, the roots hang freely and nutrients are misted onto them, but this tends to be more risky because the roots can easily dry out if the misting cycle is not accurate. Hydroponic systems must provide all the necessary nutrients to a plant so it can grow and maintain its proper lifecycle. Because each plant can be given advanced nutrients that are unique to its needs, plants grown with hydroponics often produce more than those grown in traditional methods. However, it’s absolutely essential that the system is constantly monitored to make sure the plants are being fed and a bacterial contamination does not arise in the water. If you are still wondering how do hydroponics work, there are plenty of resources available to help you learn more about the process and how to get started with developing your own system. Fullbloom Hydroponics is a one-stop shop for all of your hydroponic gardening needs.If you are wondering how to hydroponics work the answer is actually quite simple. The process allows plants to be grown in various containers, even vertically if proper stabilization is included, so that you can grow a garden all year round. The system is especially helpful to those who want to grow plants in a limited environment such as an apartment building where you do not necessarily have access to a garden plot or regular sunlight that are essential for traditional gardening methods. 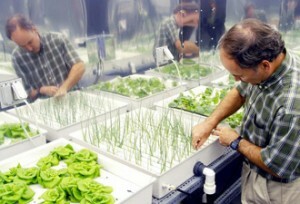 Growing plants and gardening with hydroponic systems has become quite popular these days. It happens just because the effectiveness and effortlessness have been involved with it. It is a wonderful education about it. Hydroponics is a new method of cultivation in which all the energy needed for the growth of the plants are given directly to the roots of the plants in the form of mineral untreated water. This method also needs no soil and two or more plants can be planted in the same place so that it can save space.